Do you want to learn how to earn and use airline rewards? My husband and I have never worked for an airline, but have flown for free to France, Italy, Greece, Miami, Orlando, Hawaii, Grand Cayman, and Mexico. We have also used a Free Companion ticket to Fort Lauderdale and another one to Las Angeles all in the past 7 years. We have enough miles now to book a few more tickets. You too can earn free flights, it is easy and rewarding. The frequent flyer program is an incentive program operated by an airline to reward customers for their continued loyalty. It is cheaper for airlines to reward their loyal customers rather than attaining new customers. It is free to sign up for frequent flyer miles. If you fly on an airline, ask them how you can sign up, or simply go to their website. It allows you to earn points towards free flights, upgrades, and merchandise. You will also receive notifications on special deals and announcements. If you are not part of an airline’s loyalty program, you most likely will not be upgraded even if you dress nice and ask politely. However, if you are on the loyalty program there is a chance you can be upgraded to a higher class. If you travel frequently and have Gold or higher status with the airline most likely you will be upgraded to first class with purchase of coach; if there is room in first class. If you are on a lower level than Gold than your chances of being upgraded aren’t as good. However, you will earn miles towards free flights. Once you have your frequent flyer number it is easy to earn miles. Every time you fly on an airline or their partner’s airlines you earn miles. You can also earn them by using one of their many partners that include hotels, cruises and ground transportation. Every person including children who pay for a flight earns miles towards their own frequent flyer number. If you want to earn miles even faster, then sign up with a travel credit card, or debit card, for every day spending. Most airlines offer bonus miles for signing up with them. I suggest that a married couple only gets one credit card account with an authorized second user card for the spouse. By doing this all purchases go towards miles on one frequent flyer number rather than two which allows it to accrue miles faster. When purchasing an airline ticket you cannot combine two frequent flyer accounts to pay for one ticket. However, one frequent flyer number can be redeemed to purchase tickets for anyone even if it isn’t the account holder. Another benefit with linking two married couples cards on one skymile is that you will only have one annual credit card fee rather than two. With most reward credit cards you will earn 1 mile for every dollar spent. Sometimes they will reward you double miles for every dollar for things like groceries and gas or purchases with their airline. It seems like they are starting to do away with the double miles though. Most airlines will give you bonus miles when you sign up for a credit card. Most miles will expire each year. To keep the miles active either use your miles by purchasing a ticket or merchandise or earn miles by using your credit card which is the easiest way, or flying on their airline. Delta- American Express is the only airline that offers no mileage expiration. You can use your miles for award travel, or to upgrade from economy to first class or business elite. You can shop with miles at their mileage marketplace, at the online auction, or for a Broadway show or other entertainment. Or you can donate miles for charity or gift miles to others. An added benefit of paying with award miles is that most airlines will let you cancel your ticket up to 72 hrs in advance for a small fee and you get your miles back. This is cheaper than paying the high price of a refundable ticket and acts as a great insurance for the times when you need to cancel unexpectedly. Airlines only designate a couple of seats per flight to reward passengers who are paying with miles. Only about 10 percent of a carrier’s total number of seats is reserved for rewards. These reward seats go fast. Not all flights or destinations will have reward seats available. If you are flying to a major airport then chances are they will have reward seats available. With award seats you will want to book as early as possible, this is as far out as the airline will let you book, usually 331 days in advance. My two favorite airline mileage programs are Delta and United. I tend to use Delta more; however United has been voted the best frequent flyer program by Global Traveler Magazine. 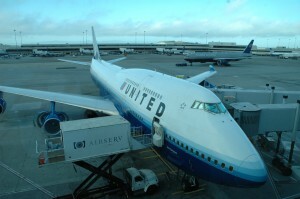 I have found that if you like to fly to the South Pacific or Asia from the US that United offers better rates. However Europe, South America and the Caribbean you can find great rates with Delta. Delta uses the American Express card and United uses Visa. They both offer free credit cards, but if you want to earn more miles and have more benefits it is worth the small annual fees for the gold or platinum credit cards. Both airlines offer different tiers of mileage costs when purchasing a free ticket. United offers one way travel awards whereas, Delta you pay the same miles whether it is one way or round trip. United has their saver awards which is the lowest price, and then they will have their standard awards. Delta has 3 tiers of costs, low, medium and high. When booking award travel with Delta they have a calendar where you can see the price of each day. By doing this you can see when they offer their low price for miles to save you money. See the calendar by selecting use miles, enter in your travel dates and destination and click the box that says you are flexible on the dates, or prioritize by price. The earlier you book the better your chances of getting the low mile rates for any airline. Most people will use their miles for domestic tickets in the US which are as low as 25,000 miles. It doesn’t matter if you live in California or Maine and want to travel to Europe; it is the same mileage cost. Same goes for any destination. I have found it saves you more money to just save up the miles and use them for the most expensive tickets. In other words if you are flying a short distance, try and pay for the flight with cash or a credit card. You will earn double miles if you use your credit card for the ticket and then you will earn miles for flying. Then when you have saved up enough miles for a longer ticket it will save you more money in the end. In other words you get a better deal for flying to Greece v. flying domestic when you pay with miles. Enroll Here for frequent flyer program with Delta. It’s free and easy. I started out by signing up with Delta’s American Express basic card. It doesn’t have an annual fee. We got bonus miles for singing up with Delta for both my husband and for me. Then we upgraded to their Gold Card which allowed us to earn double miles on a lot of things purchased. When we upgraded we received additional bonus miles. The annual fee was under $100 per year and it gave us the option to buy a companion ticket for only $99 anywhere in the Continental U.S every year. We then upgraded to the Platinum Card which gave us a free companion ticket every year. The fees are just over $100 annually but you get more benefits. Priority boarding, free 1st checked bags for every person on every flight. That is a savings of $200 round trip for a family of four. Their credit card affiliate is American Express. American Express also offers benefits for traveling with Jet Blue, Sky Blue, Hilton HHonors, Starwood and more: Click Here. If you are short on miles to purchase an airline ticket and you have the Gold or Platinum credit card with American Express then you are allowed to pay for some of the ticket with miles and the rest of it with your credit card. 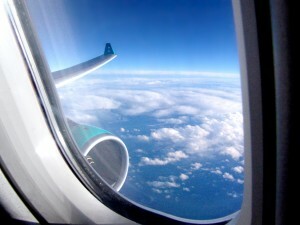 However it is always better to save enough miles before buying your ticket to get the best deal. Travel Chart shows how many miles it costs to fly from one destination to the next. Delta SkyMiles don’t expire and they are the only airline right now that offers that. Changes to the return portion of an Award Ticket are permitted at least 72 hours prior to the departure flight, but taxes and fees will apply. Rated best frequent flyer program by Global Travelers Magazine and many of their travel cards have really good reviews. Award Chart shows how many miles it costs to fly from one destination to the next. If you have frequent stay points in more than one program (hotels and airlines) and you’d like to consolidate them so you can use them, consider signing up forPoints.com. This is a FREE program that allows you to trade various points and miles between programs, including American Airlines AAdvantage® miles, Delta SkyMiles®, Priority Club® Rewards and more. You’ll be able to get the most from airline, accommodation, frequent shopper and savings reward programs to which you already belong. I suggest if you use a travel credit card that you pay off the balance due the following month to avoid interest charges. Travel award credits tend to have higher interest rates if you don’t pay off the balance compared to regular credit cards. Thanks for visiting How to Use Airline Rewards.